Guangzhou, the third largest city in China, can be best explained as “unity in diversity”. It has modern flyovers and metros as well as ancient monuments and historical sites. 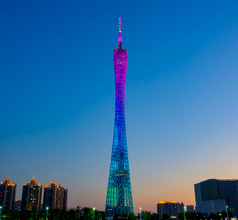 Guangzhou is a port on the delta formed where the Pearl River meets the South China Sea. This sprawling urban area has been a busy commercial hub since ancient times. 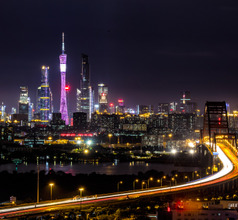 In fact, in the past the city was considered the most convenient gateway between China and the Western countries and became a large trading zone over the centuries. 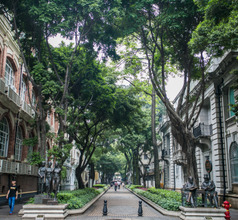 Well-known for its Cantonese cuisine and tourist-friendly people, the metropolis of Guangzhou is a kaleidoscope of mixed cultures, modern educational institutions, major business houses, busy marketplaces, International events, shopping streets, malls, hi-tech entertainment zones, food streets, and more. The Shamian Island, a part of Guangzhou municipality, was a popular export center during the Han, Tang, and Qing Dynasties. 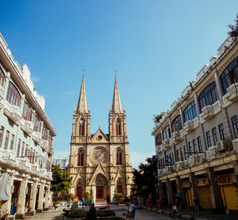 But westerners have visited Guangzhou City and set roots here much earlier than that. 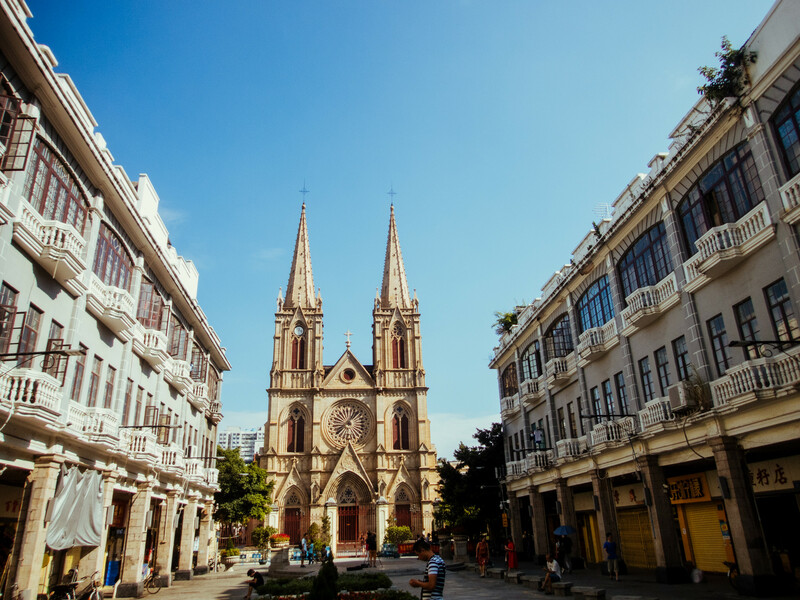 This is evident from the ancient Huaisheng Mosque built in the 630s in Guangzhou and the Western-style mansions and boulevards located on the Shamian Island. 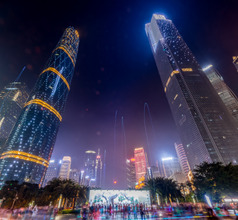 In contrast, there are two gigantic and modern skyscrapers in Guangzhou. 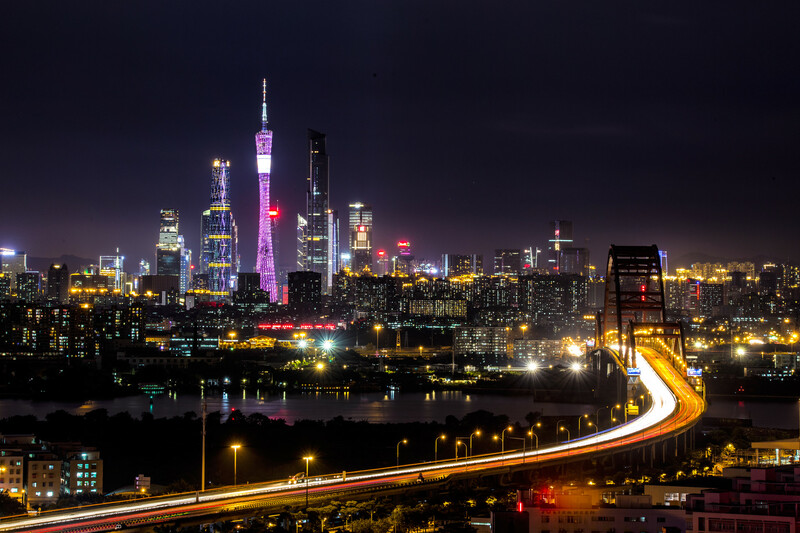 The hourglass-shaped Canton TV Tower is Asia’s tallest edifice and the Guangzhou Chow Tai Fook Finance Centre is the 7th tallest structure. 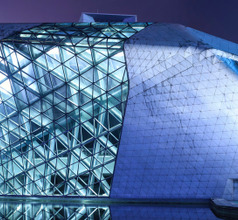 Other modern architectural marvels are the Guangzhou Opera House that is shaped like a gigantic double pebble and the Guangdong Museum that looks like a large box. These buildings are surrounded by luxury hotels and upscale shopping and entertainment zones. 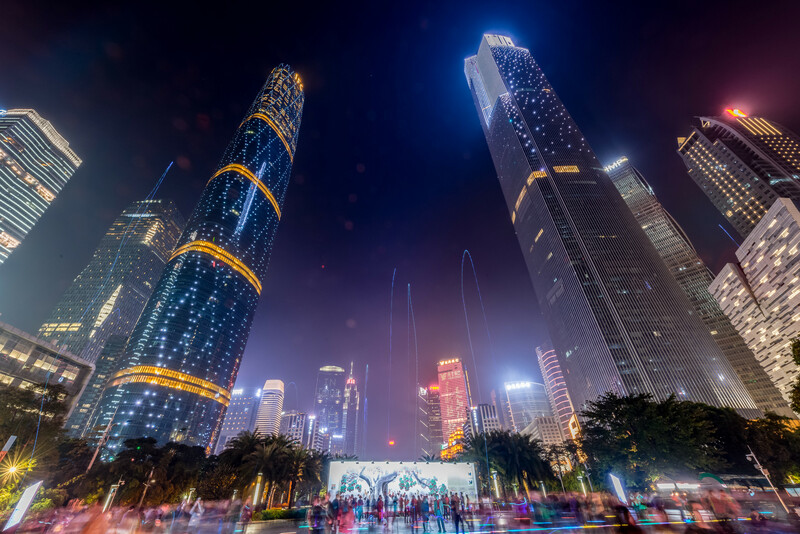 A majority of the luxury hotels of Guangzhou City are located in the urban areas of Tian He, Hai Zhu, Yue Xiu, Nansha, Baiyun District, Li Wan, Panyu District, and what is known as the Guangzhou Science City. 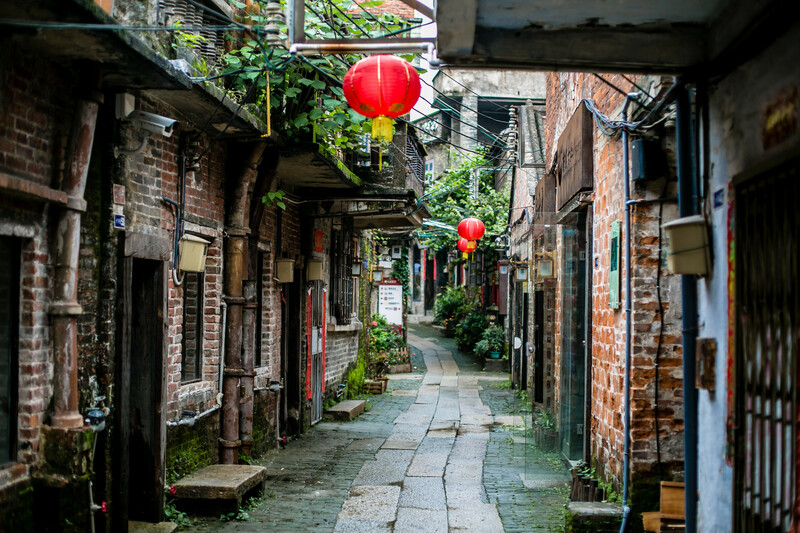 Whereas, most of the mid-range accommodation is available in the localities of Yue Xui, Shi Fu Road, Huan Shi Dong Road, Tianhe Road, and Li Wan. The hotels offer various facilities like elite accommodation, in-house multi-cuisine restaurants, concierge services, spas, in-room dining, swimming pools, 24x7 housekeeping, and more depending on its stars. There are also lodges and hostels for people traveling on a limited budget. These places are clean and have basic amenities. But they do not have in-house restaurants or housekeeping services. Also, the language might prove to be a problem because the smaller places are usually owned by locals who may or may not know English. An English-Chinese voice-based translation app will prove useful in such a situation. 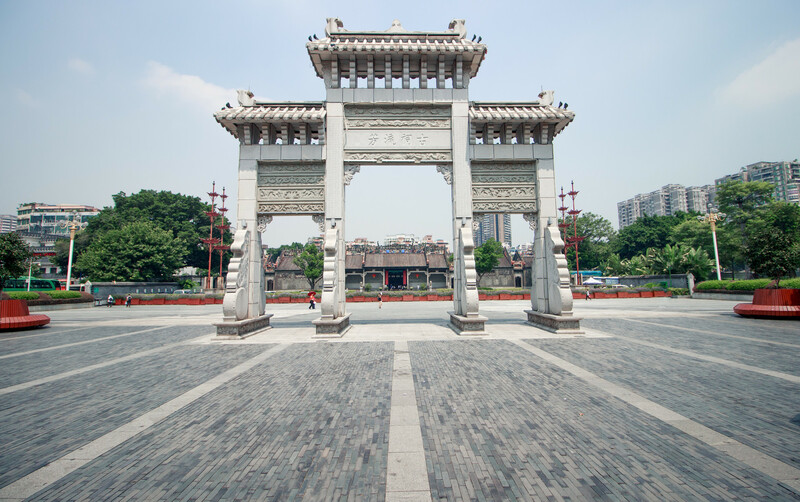 Guangzhou is a vast metropolitan city with a pleasant blend of tradition and modernism. One of the classic examples of ancient tourist attractions is the Chen Clan Ancestral Hall. 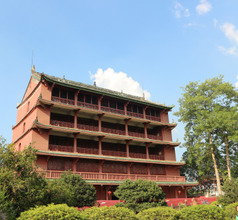 This is an old temple which also has the Guangdong Folk Arts Museum. 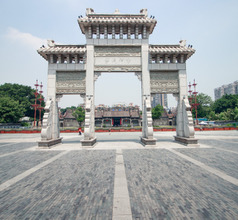 The Bright Filial Piety Temple, the Western Han Nanyue King's Tomb Museum, and the Temple of the Six Banyan Trees are classic relics worth visiting. 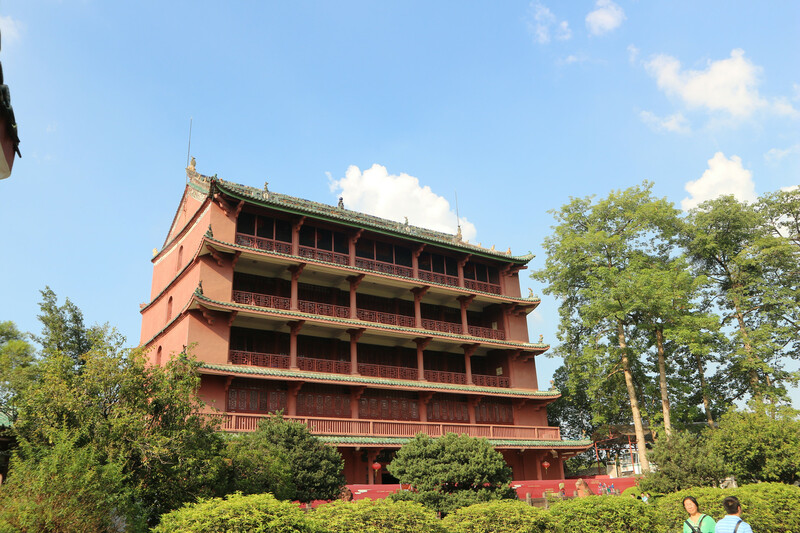 Other places of interest are the Flowery Pagoda and Dr. Sun Yat-sen Memorial Hall. For large groups of tourists and families with kids, a visit to the Yuexiu Park and the Baiyunshan Scenic Area will add an extra element of fun to the trip. But the most enjoyable option is the Chimelong Changlong Holiday Resort. This amusement park sees almost 6 million visitors a year. It is divided into 6 sections called the Chemilong Circus, Safari Park (zoo), Chimelong Paradise with its roller coaster rides, Water Park, and Crocodile Park. 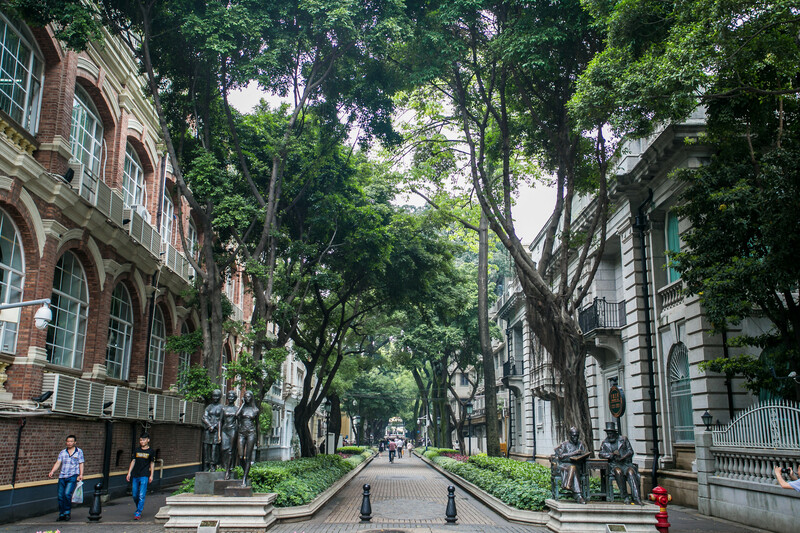 On visiting the South China Botanical Garden, Guangzhou Orchid Garden, and the Yuntai Garden one can understand why the metropolis is also known as the “city of flowers”. The city of Guangzhou is a paradise for compulsive shoppers. It has a bonanza of marketplaces that have fair-price shops where one can get the best bargains. These bazaars or markets offer a wide range of products from clothes and accessories to electronics and everything else in-between! For shopping, a visit to the TeeMall Plaza, Beijing Road Business Street, and the Shangxiajiu Pedestrian Street is a must. 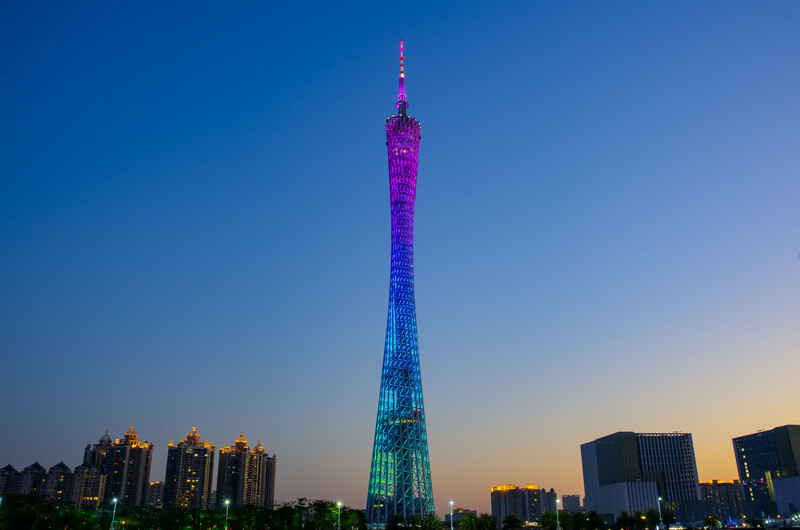 The number of public events that take place in Guangzhou City is amazing. In fact, the place can be safely called the “city of events” by the number of trade fairs that are held here. 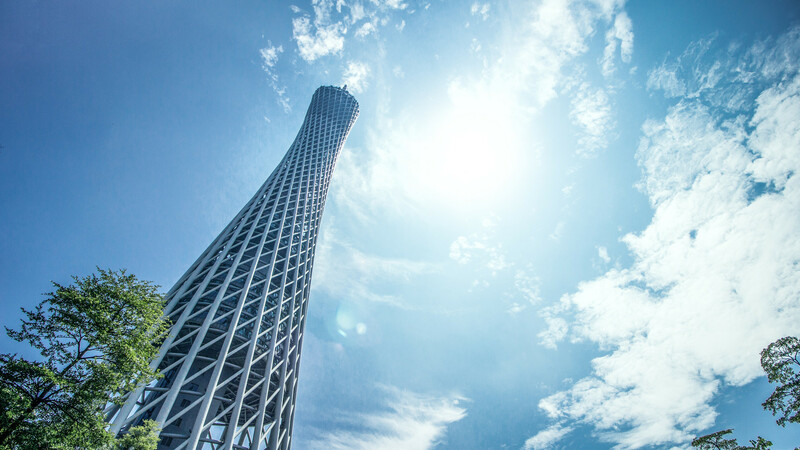 Being the biggest manufacturing and industrial zone in China, the city hosts the Canton Fair every spring season where thousands of products and brands are displayed and sold. But if one wishes to visit during this season it is advisable to book the accommodation well in advance. The Guangzhou subway (Guangzhou Metro) is the third largest city of China, the urban rail transit system in Guangzhou, and one of the 14 members of the international subway Alliance (CoMET). The first line was opened in June 28, 1997, and Guangzhou has also become the fourth city in mainland China to open and operate the subway. As of April 26, 2018, there were 13 lines in Guangzhou metro, with a total length of 391.6 kilometers, a total of 205 stations, third mileage in China, and five of the world's top five. The daily passenger flow is expected to reach 8 million 200 thousand, and the largest passenger flow in the day is 10 million 25 thousand and 700, of which the passenger flow of the one or two, three and five is over 1 million 200 thousand. In addition, line three (including North Extension) 2 million 440 thousand, four line 508 thousand, six line 1 million 53 thousand, Guangfo line 400 thousand, the above line passenger flow is the highest level in history. The reliability of operation service ranks first, the incidence of station crime is lowest for three consecutive years, and the utilization rate of vehicles and punctuality rate are third. The Guangzhou Metro is responsible for the operation and management of the Guangzhou metro, and it is also the actual construction and operator of the Guangfo metro, so the service range of the Guangzhou Metro is also extended to Foshan. Guangzhou Railway Station is located in the city's west, and serves trains going to Shenzhen, Beijing and Lhasa (Tibet). Is connects directly with Metro lines 2 and 5. The Guangzhou East Railway Station is located fairly centrally, although it is fairly small. It serves trains on the Guangzhou - Shenzhen Railway, and the Guangzhou - Meizou - Shantou Railway. It is connected with Line 1 and Line 3 or Guangzhou Metro. Guangzhou's largest railway station is located around 17km south of the city center. It is the terminus for many high speed routes including Guangzhou to Beijing and Guangzhou to Shanghai. Metro Lines 2 and & connect directly to the station, while Lines 18, 20 and FMetro Line 2 are currently under construction. This station mainly serves trains on the Guangzhou - Wuhan high speed railway line. It connects with Metro Line 9. 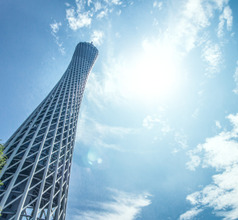 The 3rd busiest in China, Guangzhou Baiyun International Airport is equipped with latest amenities and a free metro connecting its two terminals. 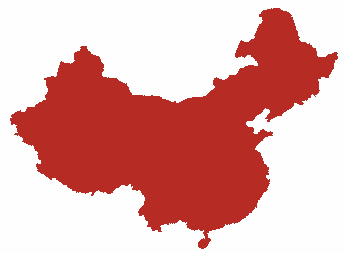 It is served by all major airlines and has connection all across China and internationally. Metro line 3 connects to the airport as well as the railway station North and South. Airport shuttles are affordable and convenient. After midnight a taxi is needed which costs RMB90-150 for distance of 40 km from downtown. Guangzhou is definitely known as a foodie's city. Apart from the well-known dim-sum, the people of Guangzhou province are known for eating literally everything. Don't be surprised to see bugs, reptiles, amphibians and fish skin on the menu. Having said that apart from "the weird stuff", Guangdong cuisine is generally quite enjoyed by non-Chinese. Fish and pork make up the majority of dishes, often braised or barbecued. As with all major Chinese cities you can also find Western choices in downtown areas. Cantonese food, locally called Yuecai, can be identified by its colorful presentation and superb aroma. The cuisine is meant for the adventurous and those who like to experiment with food. Tourists who have a traditional palate should stick to the multi-cuisine restaurants that offer an International spread. For the curious eaters there is a sea of choices in the various food streets of Guangzhou City. The local teahouses and Cantonese restaurants are a treat. 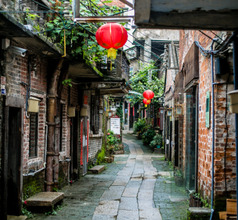 Huifu Dong Street, Panfu & Liuhua Area, Shang Xia Jiu Street, Tiyu Dong Road, Shamian, Tiyu Xi Road, Southern Downtown, and Huanshi Dong are some of the best food streets in the city. They are a tourist hotspot in the evenings when the best freshly made snacks and meals are served. It would be a shame if one didn’t try out their steamed or fried dim sum (dumplings), Shuang Pi Nai custard, Kao Ru Zhu (whole roast pig), and the Yum Cha (tea with dim sum and other snacks). To describe the cuisine in a nutshell – you can get almost anything to eat in Guangzhou. Those who wish to experiment further should try their signature dish called Long Hu Dou which is made with snake and cat meat!